Metal Earth model kits rock, and none are more amazing than the mecha based on the Gundam sci-fi media franchise. 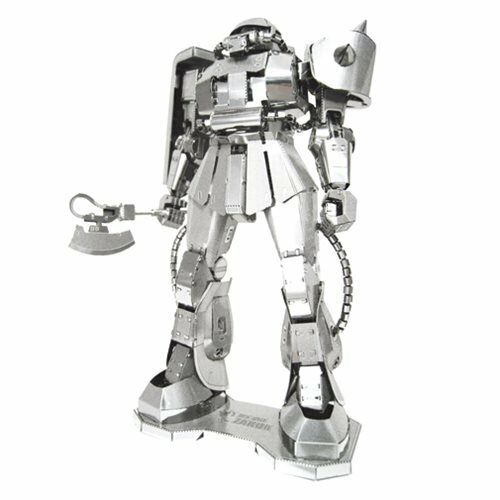 Check out this fantastic Mobile Suit Gundam Zaku II Metal Earth Iconx Model Kit. This amazingly detailed DIY model starts as steel sheets and ends up as an amazing 3D model! Use the easy-to-follow instructions, pop out the pieces, bend the tabs, and connect them at the attachment points. Voilà! Ages 14 and up.